Willy Wonka may have passed on to the land of marshmallow-filled clouds and chocolate rivers (RIP Gene Wilder), but we could soon have his most famous creation in our hands: the Three-Course Dinner Chewing Gum. According to scientists, the nanotechnology is now available to create the shape-shifting tomato soup-roast beef-blueberry pie treat that, until now, had just been a matter of pure imagination. But, how they will do so without using a ton of artificial flavorings and chemical ingredients (we saw what happened to Violet) is still up for question. While Wonka’s creation may sound far-fetched, most gum today is actually created in a lab in a process that largely relies on creating a “gum base” comprised of synthetic materials. This often includes a combination of resin, wax, and elastomers (aka rubber). Then, add to that the use of artificial sweeteners like aspartame and sorbitol, and chewing gum is not so innocent anymore. It didn’t always use to be this way, however. Gum has been human’s favorite mouth accessory for centuries, and, in the early days, was naturally sourced from trees. It began with ancient Greeks 9,000 years ago who chewed on the rich sap of birch bark for medicinal purposes such as curing toothaches. Mayans and Aztec cultures were also hip to staving off hunger and thirst with chewing gum, or chicle as it was known to them, which was sourced from sapodilla trees native to Mexico and Latin America. But as American purveyors like William Wrigley started to market gum (and became rich off it), the world’s supply of sapodilla trees became nearly extinct. Manufacturers were then forced to come up with more abundant and cheaper supplies like petroleum, wax, and rubber that could provide the same elasticity. The U.S., for one, stopped importing chicle altogether in 1980, meaning many of those silver wrappers now have a plethora of questionable ingredients inside. While many, including dentists, tout the benefits of regularly chewing sugar-free gum—which can lead to reduced cavities and actually make the brain more alert—some experts have found that the unnatural preservatives and chemicals used in some brands can have the opposite effect, leading to tooth erosion and decay. And not even one dentist would agree with that. In recent years, xylitol has become a popular replacement in sugar-free gums. This naturally-occurring plant alcohol (found in fibrous stalks and leaves) adds pure sweetness and also works double time to block bacteria from sticking to teeth and building up in the mouth. 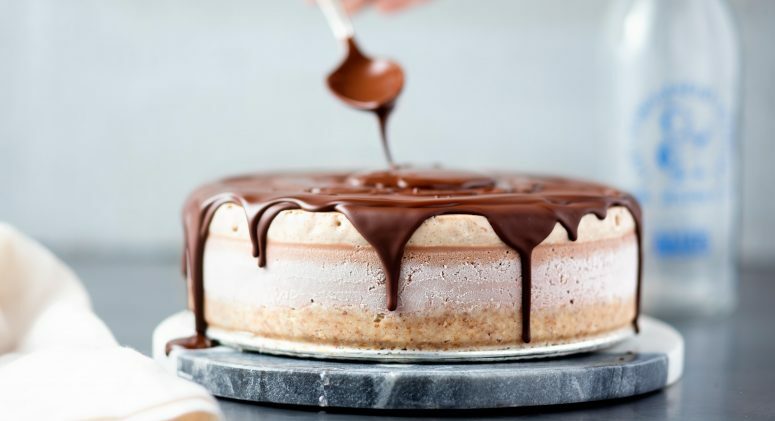 Unlike the saccharine compounds in sugar and even sugar-free gum, which mimics the real stuff, bacteria can’t break down xylitol—and, without energy, it won’t be able to populate. Saliva that is rich in xylitol has also been seen to have a more neutral pH balance, which can reduce plaque and strengthen enamel. 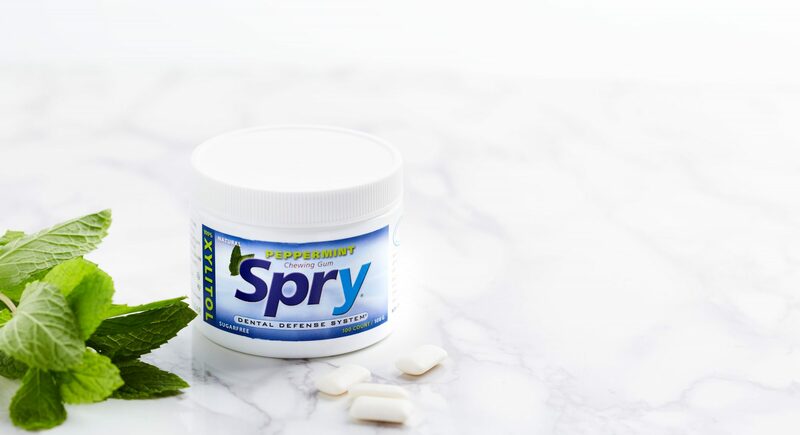 Options like Spry Peppermint Xylitol Gum are even more effective because its gum base is made of sap from the Jelutong tree and gum arabic from acacia trees that act as bulking agents. Along with vegetable glycerin for an emulsifier, it brings it even closer to the original makeup of gum while natural peppermint flavor gives it a refreshing feeling that makes mouth happy—and let’s be real, that’s the true golden ticket.